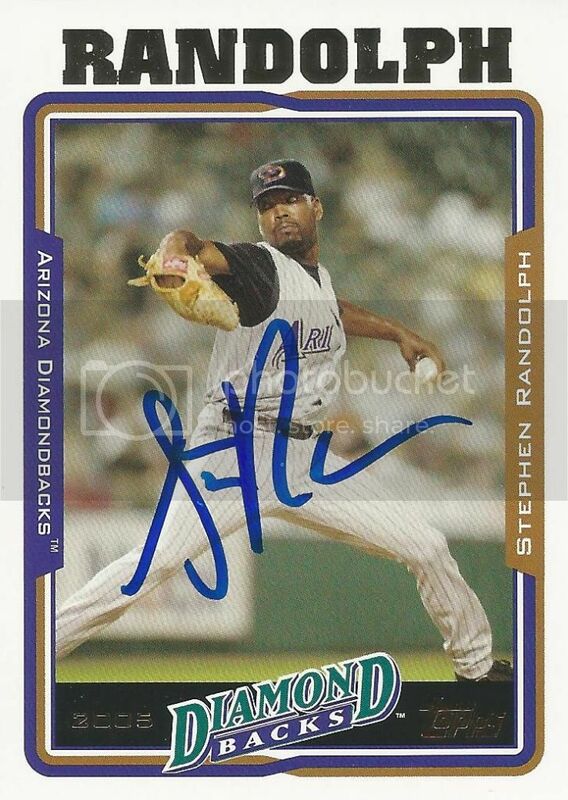 Stephen Randolph was a big piece of the Diamondbacks bullpen from 2003 to 2004. He appeared in 95 games over those two seasons. I wasn't really following the D-Backs too closely back then but I do remember liking Stephen. After leaving the D-Backs, he spent a few seasons bouncing around in the minor leagues for a few different teams. In 2009, he would sign with the Yokohama BayStars. Pretty cool since he was born in Japan. Stephen signed his 2005 Topps card for us at the Alumni Game last month.